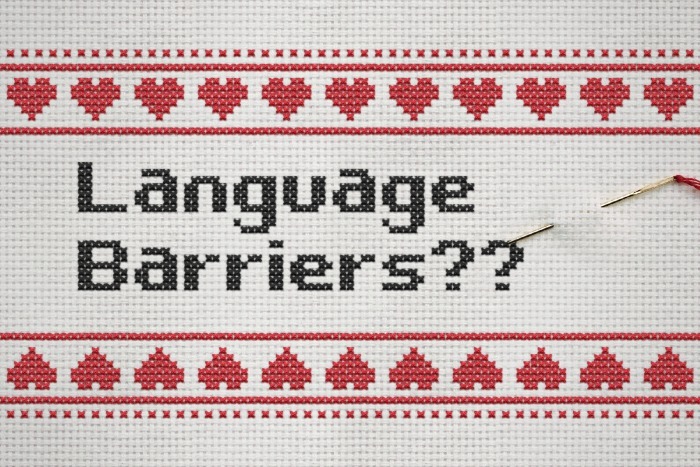 Today's Tip: Managing a language barrier can be difficult if you don't have a plan of action. I have talked about making sure that you have translation tools in your blog so that everyone can read it (or at the very least understand it a little) and then there comes the ability to interact with your readers from other countries. I happen to have a lot of those, and my most interactive followers happen to be German, Turkish, Arabic, Dutch and Greek. Most of them tend to reply in English, but a lot of them use their native tongues, which is perfectly ok because I have a little translation switch right in my browser, so that I can translate these things on the fly. The next question is how do you respond to people who respond in different languages? The answer is quite simple actually, because you respond in YOUR OWN language. I get a lot of Turkish responses, which doesn't translate all that great to English using the Google translator that most translation engines use. All of the people in Turkey who respond know this, so they get my English response, translate it to the best of their ability, and then usually respond back, in Turkish. This relationship works great because I am not screwing up their language and they are not screwing up mine, and we have great conversations. German doesn't translate all that great either, but I they usually like to try out their English, and again that is just great! The sweetest comments I get are from the Germans usually just to say hello or good morning and I always respond in kind. The world community is expanding my friends and being able to interact is important. There might be different etiquette in every country but I like to say, just stick to what you know. Everyone always seems to understand that.